Tillamook PUD’s Board of Directors will convene a Board Workshop on Tuesday, September 12, 2017, at 3:00 p.m. to review the warehouse addition and lobby remodel plans. 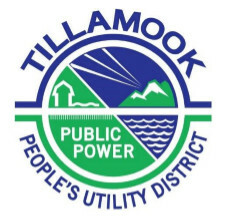 Tillamook PUD’s Board of Directors will convene a Board Workshop on Tuesday, September 12, 2017, at 4:00 p.m. for a Pre-Budget Presentation. Tillamook PUD’s Board of Directors will convene a regular Board meeting on Tuesday, September 12, 2017, at 6:00 p.m. The meetings will be held in the Carl Rawe Meeting Room at Tillamook PUD, 1115 Pacific Avenue, Tillamook, Oregon. Action items include: approving the Bay City Franchise Agreement; and any matters that may come before the Board.